In the coming weeks, I will begin a three part Good Fortune podcast series based on the Tablet of Cebes. 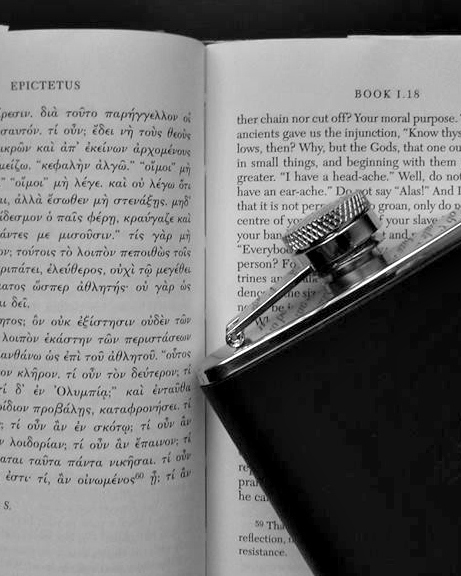 I was first introduced to the Tablet's story through Keith Seddon's wonderful book, Epictetus’ Handbook and the Tablet of Cebes: Guides to Stoic Living. It's my hope that the imagery found in this ancient story will help us picture the Stoic life and live it out more fully. December 9, 2017 by Matt Van Natta. From time to time I get requests to describe my recording set up, so I thought I'd show everyone. This set up, by the way, is new to me. A new home means a new "studio" that presents a whole set of novel problems. For instance, there is much more traffic noise on Episode 12, than on past episodes. I live near a busy street now. I have a solution in the works, but it a few months before everything is fixed up. So what you see above is my two screen, one mic setup. I use Audible, the free recording software, to capture my sound. The computer on the right is able to meet the demands of recording, so my mic runs to it. However, that laptop has a loud fan, so I keep it away from the mic (sometimes I even cover it to muffle sound). 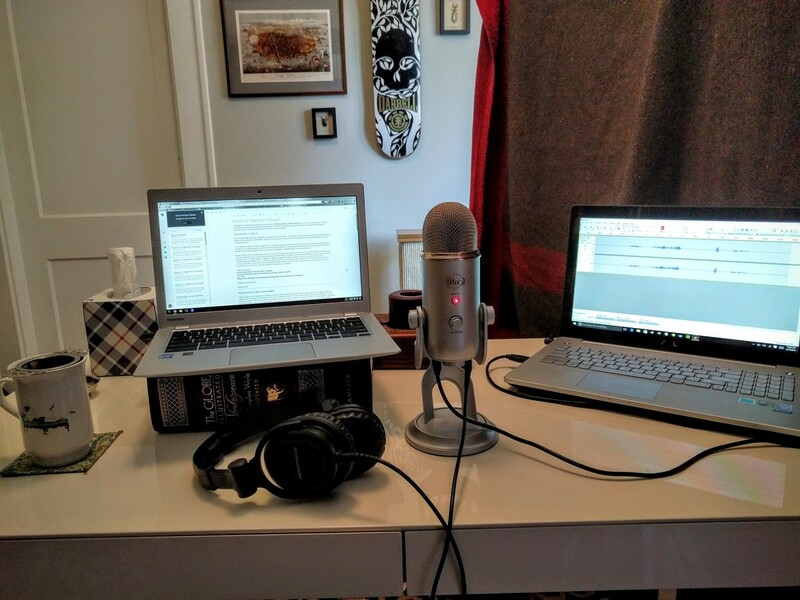 To read my episodes I use a second screen, in the example above I'm using a Chromebook. The Chromebook is perfectly quiet so it can be as close to the mic as I need it to be. My microphone is a Blue "Yeti" and it treats me nice. When I use it properly the sound is just what I want. Of course, it's very good at picking up noise, which is why a wall of blankets is to the right of my desk, dampening some of the traffic volume. Accompanying the audio equipment there is always a cup of tea or coffee to keep the throat dry and please my senses. That's how I record. I like how things are going, though I look forward to better soundproofing and I may invest in a pop filter. Maybe later I'll share about my writing process? Though I can sum it up in one word. SLOW. P.S. I've posted Episode 12. March 19, 2016 by Matt Van Natta.